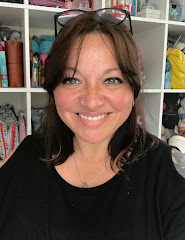 My name is Alicia Landi and I blog about knitting, spinning, and designing over at Woolen Diversions. I’ve been spinning for about 2 years on spindles and 1 year on a wheel. While I’m no expert, I tend to research the heck out of whatever I’m interested in and have been doing lots and lots of reading up on spinning. One of my favorite resources for spinning tips and tricks is the fairly new Ply magazine. The Winter issue was all about woolen spinning and it inspired me to give different drafting styles a go. The different types of yarn you can spin begin with different preparations. Worsted yarns are prepared and spun so that the fibers are aligned and twist is tightly controlled, resulting in dense, drapey, sleek, and shiny yarns (depending on fiber content, of course). Woolen yarns are prepared and spun so that the fibers criss-cross, they are misaligned on purpose in order to trap air, and the resulting yarns are bouncy, elastic, fuzzy, and extra warm. 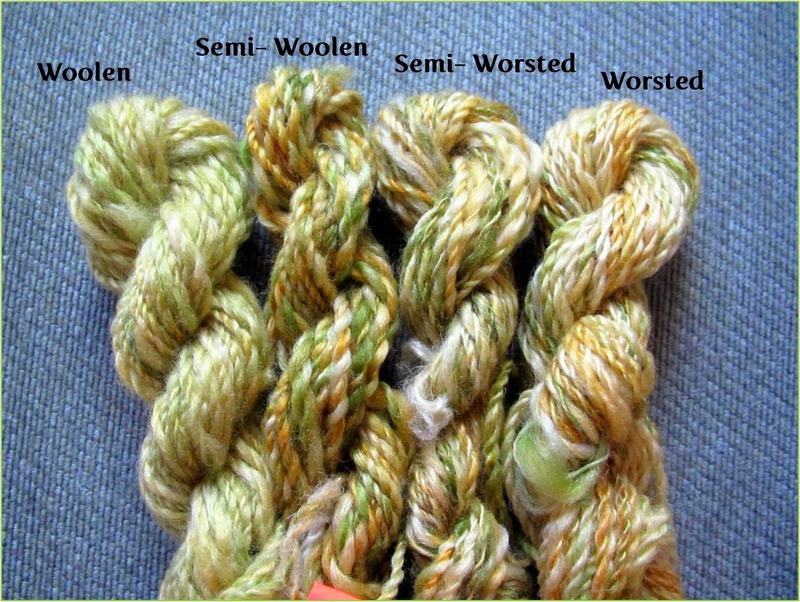 You can spin either type of yarn from many kinds of fiber but different preparations make the results easier to obtain. 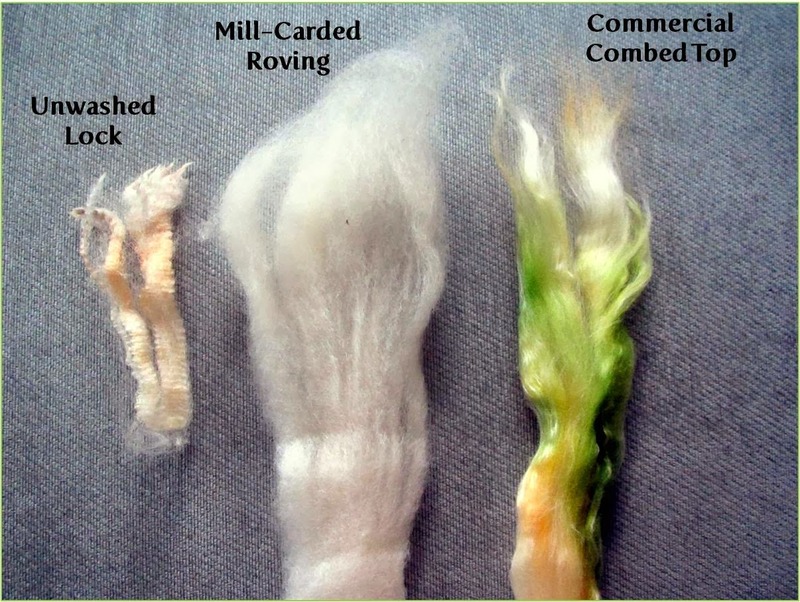 In the photo above, the left-most fiber is an unwashed lock of wool for comparison with the other preparations. The center fiber is mill-carded roving, if you look closely you can see that the individual fibers are all over the place in a fine mesh. To the right is commercially combed top, where the fibers are all neatly aligned. 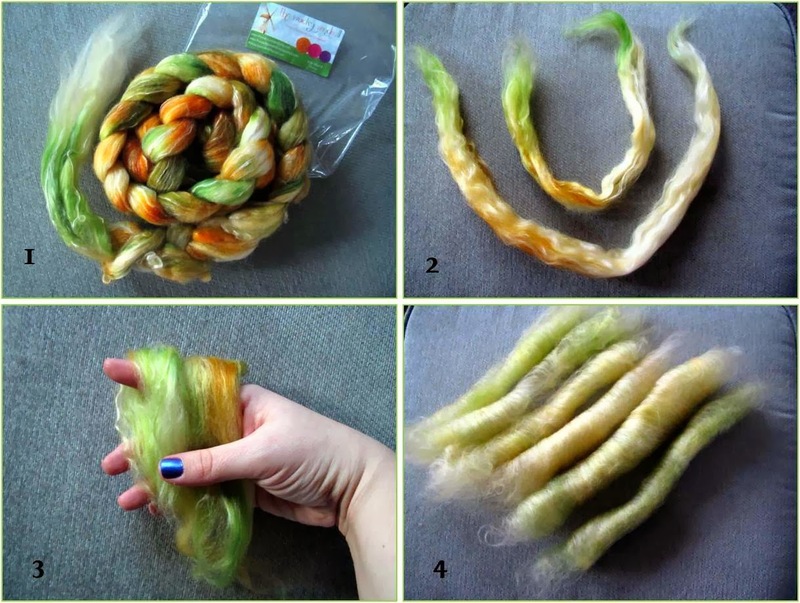 If you’re not sure whether you have carded roving or combed top, break off a little chunk. Roving will form a sort of peak where you tore it off while top will break almost straight across. For my little drafting experiment, I took a braid of 70% superwash Merino wool / 30% Seacell hand-dyed commercial top from The Wacky Windmill and prepared the fiber in three different ways. First, I slightly pre-drafted the fiber by splitting a section of top in half and gently tugging a bit on each end. In picture 2 above, the undrafted portion is in the center and the longer, pre-drafted portion surrounds it. Pre-drafting commercial top helps it spin smoothly as it can get a little compacted from the dyeing process. Picture 3 shows a chunk of fiber fluffed width-wise a bit and then held over my finger, all set for spinning from the fold. This method misaligns the fibers when you spin as the twist enters them at an angle. Picture 4 shows a bunch of hand-carded rolags. Carding is a post for another day but it is much simpler than it seems and produces a light, airy preparation with fibers going every-which-way, perfect for woolen spinning. After fiber type and preparation, drafting style is what determines whether your yarn is worsted, woolen, or something in between. In picture 1, I am spinning a section of pre-drafted top using short forward draw. For this method, the job of the twist-controlling hand (the one nearest your wheel or spindle) is to keep the twist from entering the drafting zone until you are ready for it. 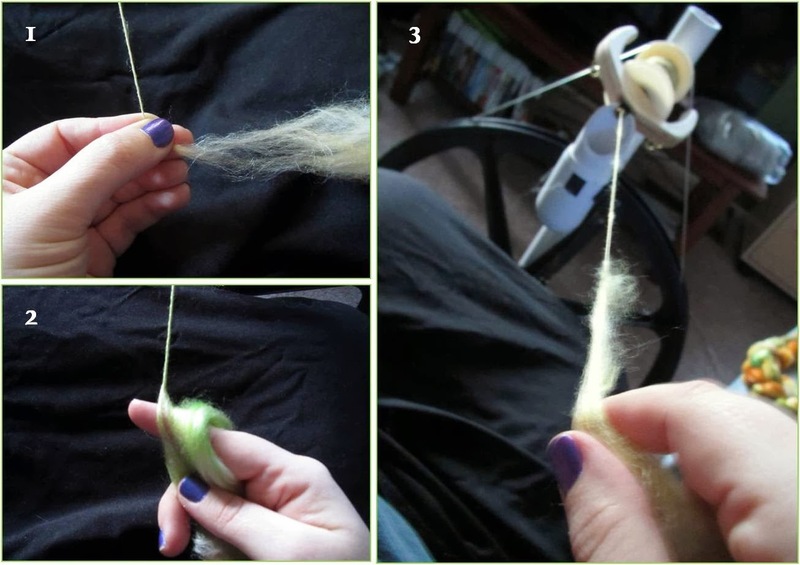 This is the inchworm method of spinning: pinch a bit of fiber, draft it forward a little, then slide your fingers back towards the fiber supply, smoothing out the yarn after allowing twist into the fibers you just drafted. Repeating this process produces a smooth, worsted yarn. In picture 2, I am spinning from the fold. Twist enters the fibers at an angle so they are no longer perfectly aligned. I practiced this method two ways: 1) using short forward draw and smoothing the fibers down, and 2) pulling back on the fiber supply and not smoothing down the fibers after allowing twist into them. Finally in picture 3, I am spinning a carded rolag with the longdraw method. (That was an interesting picture to try to take!) For this method, your twist-controlling hand does not smooth down the yarn or follow your fiber supply hand. Instead, it opens and closes in place to let twist into the drafting zone as the fiber supply hand pulls back and drafts against the twist. This allows the twist to grab the misaligned fibers willy-nilly, trapping even more air and producing a warm and bouncy woolen yarn. The results of our experiment! After spinning a bit with the 4 different methods, I Andean-plied the singles into 2-ply sample skeins. Can you see the differences between the methods in the results above? The skein on the left is the woolen sample. It was spun longdraw from the carded rolags. Notice that the yarn is a bit plumper than the other skeins and it is not as shiny. Since the fibers are misaligned, they reflect light in a scattered way that changes the luster of the finished yarn. The skein on the right is the worsted sample. It was spun with short forward draw from the pre-drafted combed top. Notice how much shinier and sleeker this yarn looks. It is also thinner than the woolen skein and when knitted up will have less bounce and more drape. The two in between were spun from fold. On the left is the yarn that I drafted back against the twist and didn’t smooth down while spinning, which makes it more woolen-like (but not a true woolen because it was spun from combed top). On the right is the yarn that I spun with short forward draw and did smooth down while spinning, making it more worsted-like (but not a true worsted because the top was spun over the fold, misaligning the fibers). I hope you enjoyed my little drafting experiment! I encourage you to give different styles a try, if you are a newer spinner you may discover that you greatly prefer one style over another. For instance, I had the hardest time drafting yarn evenly while spinning on a spindle until I tried spinning from the fold and it made a world of difference. 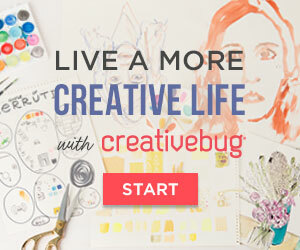 If you have any questions, feel free to drop by my blog or send an email to alicia at woolendiversions dot com. I’ll end with a big thank you to Sarah for having me as a guest blogger for her Spinning Show & Tell, and happy spinning! This is a great post, it clearly explains a lot of things that had confused me a bit. Thanks for inviting your guest. Absolutely fantastic post, thank you! That was super helpful. Thank you!